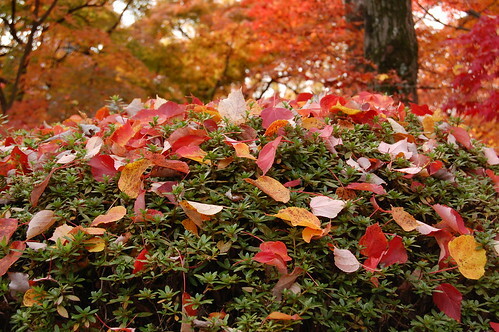 I enjoy the colored foliage every autumn. 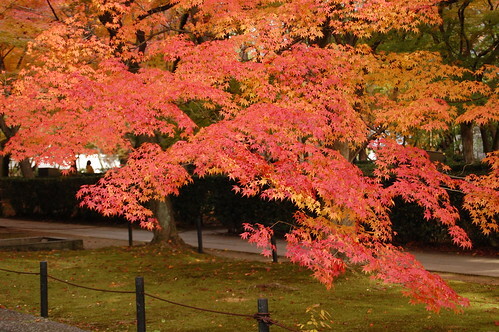 Kyoto is the best place to enjoy them. 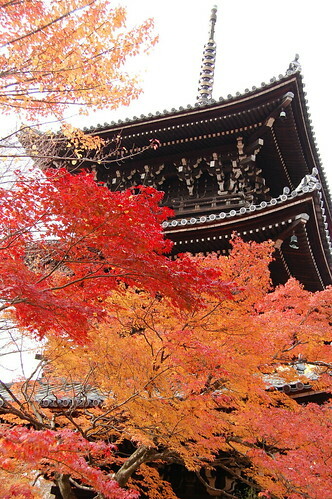 My favorite scene of photo of the autumn foliage is with temple’s buildings. It would be difficult to explain this awesome beauty with any words. Take a look at the pictures! They have been taken just today!! These photos were taken at Shinnyo-do Temple, which is located in the east part of Kyoto City, around the foot of east mountains. 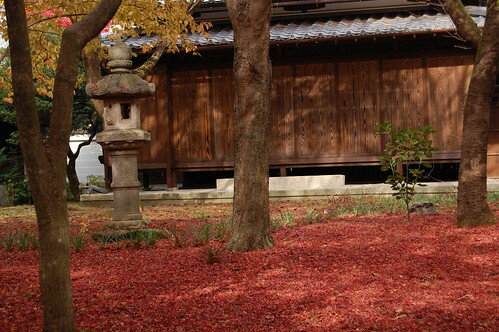 Shinnyo-do was established by the monk of Tendai sect of Buddhism, same as Enryaku-ji on Mt. Hiei, in the 10th century. This temple is well-known as having a big scroll depicting the Buddha’s death and opening it in every March. 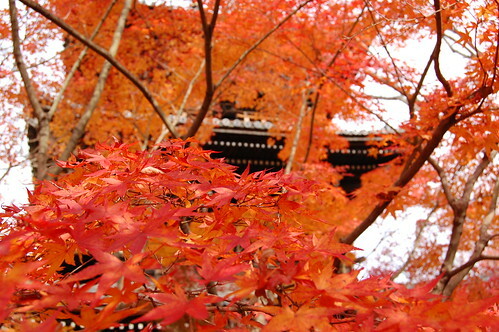 Of course it’s also famous for the best temple to see the autumn foliage in Kyoto. I’d like to recommend that you visit this temple and then, or before it, you climb on Mt. 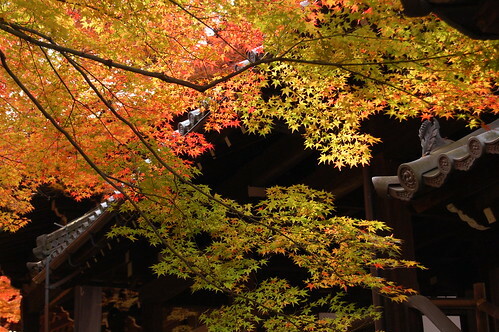 Daimonji, just take 20 minutes on foot to the foot of mountain. Mt. Daimonji is the symbol mountain in Kyoto and also a sacred mountain due to having the annual summer event called “Daimonji-no-okuribi” for appreciate the ancestors. It’s nice to hike and overlook Kyoto City from the top of the mountain. Lunch together on the mountain summit! !